OMLp2p, India's leading Peer to Peer Lending Platform, is founded and operated by a team of highly competent, successful and seasoned professionals with diverse experience in the fields of Banking, Finance and Digital Technologies. 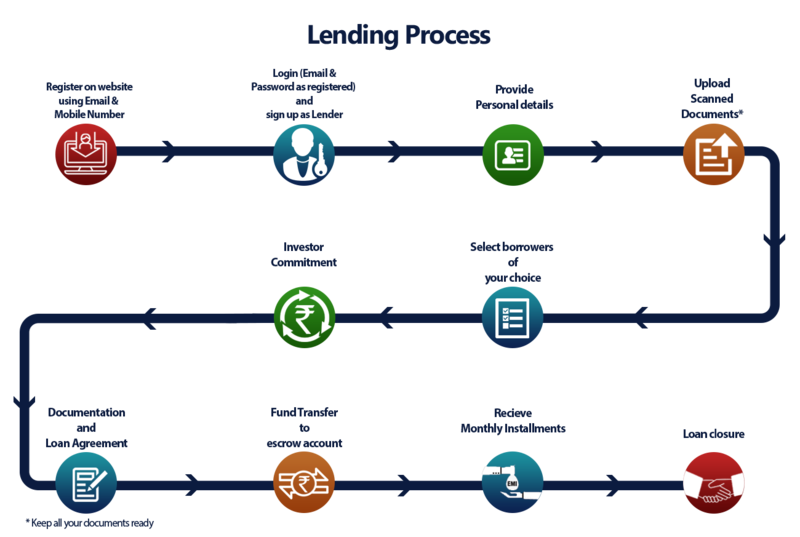 At OMLp2p we follow a process-driven approach for evaluating and selecting the borrowers' profiles on 100+ parameters using customised proprietary credit scoring algorithm. We go beyond the traditional credit scoring model and assess the profiles to ensure high success rate of timely payment of EMIs. We also have a robust system to ascertain the borrower's ability to pay, along with their intent to pay. OMLp2p offers a wide range of online money lending opportunities to investors and enables them to earn returns as high as 36%. Every borrower profile undergoes a stringent credit and risk review on our state-of-the-art credit risk scoring platform. We ensure complete compliance of KYC (Know Your Customer) norms for every borrower. At OMLp2p, the entire investment and disbursal process is hassle-free and fully transparent. At the same time, we maintain high data security and safety standards to keep the data protected. At OMLp2p we use our proprietary algorithm developed in association with CRIF Highmark to select low risk quality borrowers. Repayment of loans are structured in Equated Monthly Instalments (EMI), which will give regular income to the investors.